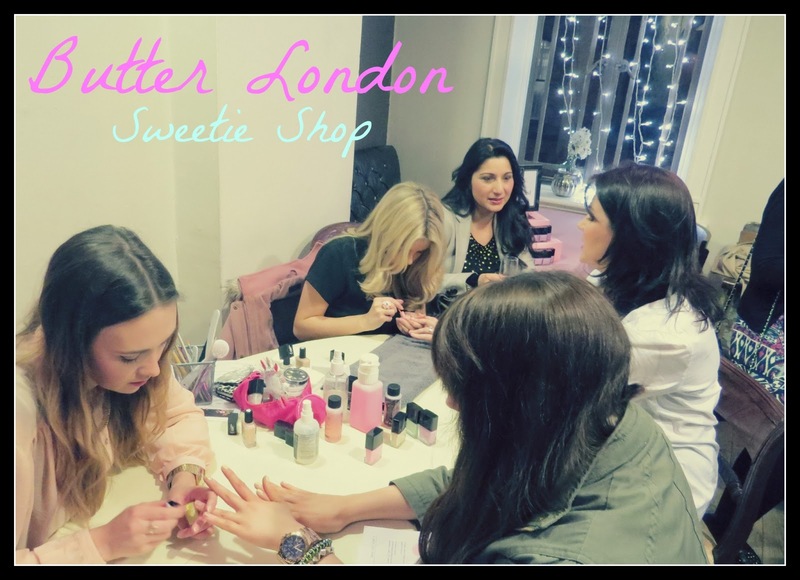 I was recently invited along to the gorgeous Butter London 'Sweetie Shop' event, in Avoca. Butter London are a popular trend-driven beauty brand, famous for their nail polishes and instantly recognisable bottles. 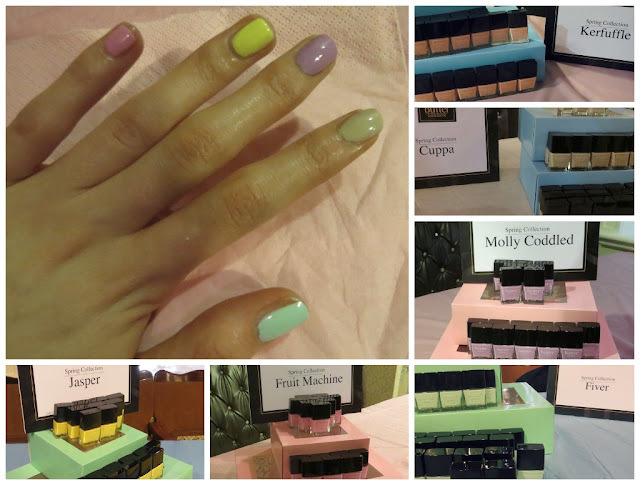 Their collection for Spring 2013 is called 'Sweetie Shop'; 6 pastel shades inspired by the 50s and all things Spring! 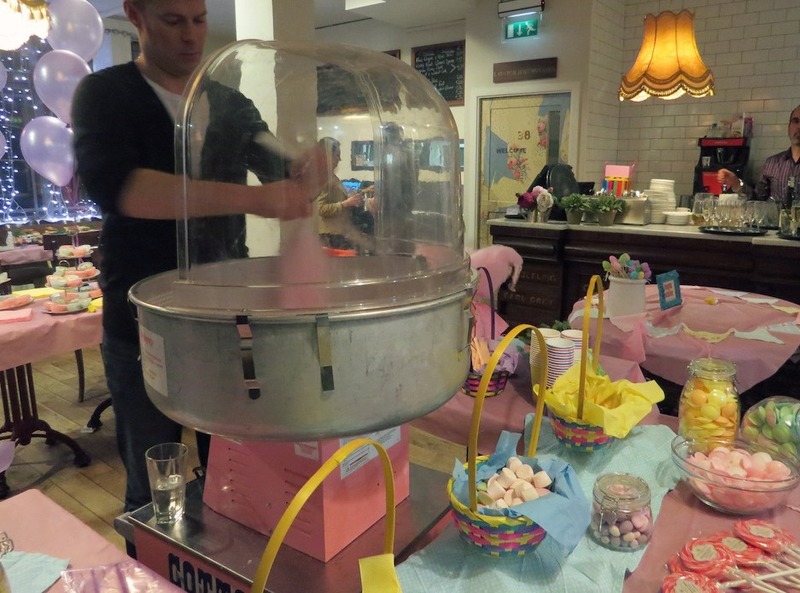 The event itself was so beautiful; candyfloss, Easter sweets and cupcakes were scattered around - matching the pretty pastel colours of the polishes themselves. I was in my element! Along with my Nana, who was a killer sweet tooth. I was lucky enough to receive a manicure on the night, using 5 of the 6 polishes as I couldn't choose just one! Nail polishes rarely last more than a day on me, so I was pleasantly surprised to see that the polishes lasted me a whopping 3 days after I had them applied at the event. 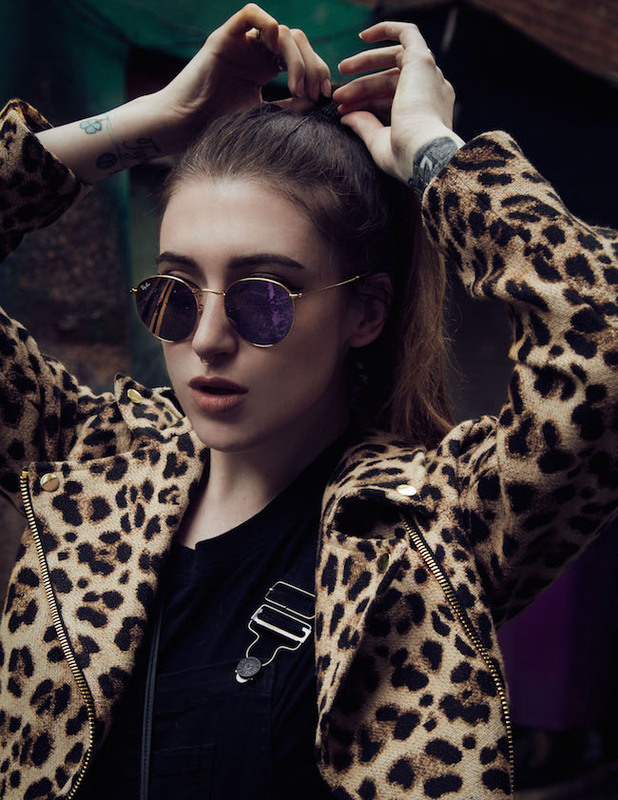 Cuppa and Fiver are my personal favourites from the collection, as they're both such unusual yet wearable shades for Spring - I received both in my goodie bag luckily! The polishes themselves are fantastic; creamy, chip-resistant and glossy. They do need 2-3 coats, for a perfect opaque finish. Butter London polishes are available in Avoca, for €15 each. (L-R) Jasper, Kerfuffle, Fiver, Fruit Machine, Molly Coddled and Cuppa.